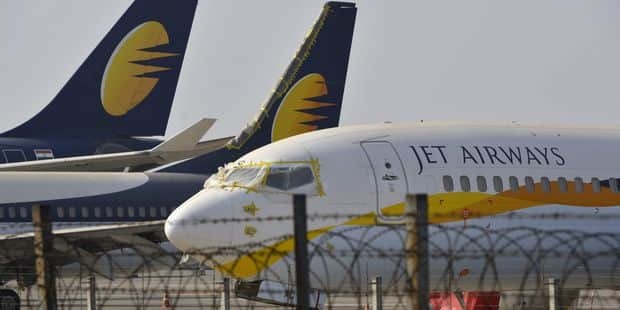 Indian airline Jet Airways announced on Wednesday that it suspended its operations because it did not receive loans from its intermediaries' intermediaries. "For this reason, Jet Airways is forced to cancel all domestic and international flights with immediate effect. The last flight will be made today," the company said in a statement sent to the Bombay stock exchange. Until recently, the second largest airline in India, Jet Airways is heading to the disaster. A consortium of lenders led by the State Bank of India (SBI) has taken control of the company's last month on the bankruptcy and is currently looking for a buyer. New major shareholders promised to invest US $ 218 million in emergency financing, but no consensus has been reached in recent days to release funds. "In recent months and weeks, the company has tried all possible means to seek temporary and long-term financing, but unfortunately, despite all our efforts, the airline is now free to choose to suspend its air operations," she said in a statement. It was not known how long the company could take the air again, or even if it would continue one day. Jet Airways said that it is awaiting the completion of the SBI call, which will be open until 10 May. The fleet of the company increased from almost 120 aircraft in January to just seven due to non-payment of the lease term. Jet Airways, which has more than one billion dollars in debt, is one of the first private air carriers in South Asia. It was taken shortly after the liberalization of the Indian economy in the early 1990s. However, in recent years, it has lost its reasons for new low-cost companies, including IndiGo, which is now market leader.